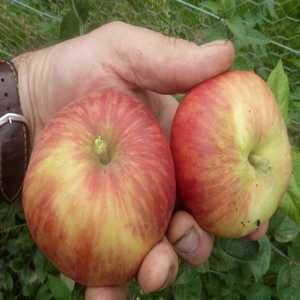 Tom Putt - Apple Tree £12.75 - Dessert Apples - Mid Season Apple Trees and Fruit Trees For Sale. Buy at competitive prices with wholesale discounts. 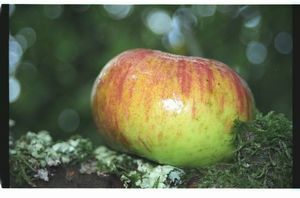 A popular old dual purpose apple, which is often used as a mild sharp for cider making. It is very disease resistant and crops can be produced in exposed locations and higher altitudes. 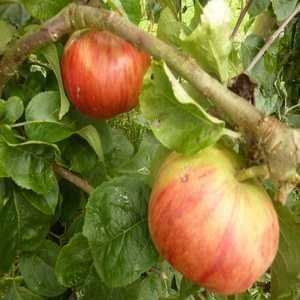 It makes a vigorous and spreading tree with good reliable crops. Tom Putt was bred by a Reverend Tom Putt who also gave his name to Putts Corner, now the site of the Hare and Hounds pub near Honiton. Originally from Devon, 18th century.